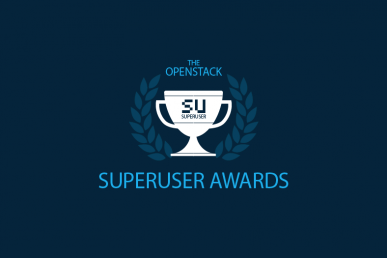 It’s time for the community to determine the winner of the Superuser Award to be presented at the OpenStack Tokyo Summit. Based on the nominations received, the Superuser Editorial Advisory Board conducted the first round of judging and narrowed the pool to four finalists. Nippon Telegraph and Telephone (NTT Group) is among the four finalists for the Superuser Awards. Review the nomination criteria below, check out the other nominees and vote before the deadline Monday, October 12th at 11:59 p.m. Pacific Time Zone. What kinds of applications are being built or run on the OpenStack cloud? For use case number one, there is a web portal site for Japan market (goo), which has been provided over 18 years and has been running on OpenStack in production since October 2014. It accommodates more than 80 services, 1 billion page views per month including web search engine, web portal site, smartphone application, online store and more. For use case number two, we applied Swift to build a cloud storage system to store archived data on “DOCOMO Mail,” which is one of NTT DOCOMO’s services that was started in October 2013. As of December 2014, it had reached approximately 18 million users and the number of users and data size stored keeps growing. At the snapshot after one year from when service began, it processed 170 million emails per day. For use case number three, we have provided a commercial cloud service named Cloudn since 2012. Cloudn has several service types, and the virtual private cloud service, VPC-type service, is built on OpenStack. Cloudn offers flexible network design and combines our VPN service and OpenStack components, which are Nova, Cinder, Glance, Quantum and Keystone. In use case number one, the time to provide a virtual server for application developers and services was shortened to five minutes from five business days. Because a virtual server can be easily scrapped and built, the opportunity for technical evaluation has increased for our application developers. Moreover, a migration of virtual servers between physical servers becomes much easier, so it helps our operators handle a server failure. Applying OpenStack to our production triggered us to join the OpenStack community deeply, and sharing the knowledge with each other in this industry has been inspiring us at various viewpoints, not limited to infrastructure management. For use case number two, OpenStack gave us a storage system free from vendor lock-in to replace expensive high-end storage. We will be able to reduce the total cost of ownership by 60-70 percent in five years total. Because we deployed the system into many data centers in a distributed manner, it achieves high availability and reliability which is helpful for disasters. In Japan, we suffer natural disasters more often than other countries, and it contributes to keep the communication lifeline available even in such disasters, which is very important socially. For use case number three, OpenStack enables us to provide a commercial cloud service at a low price. Flexible network features in OpenStack enable us to combine our VPN service and cloud services. Our cloud service built on OpenStack has had no serious trouble since it started our customers who specify OpenStack for their system integration have increased. The application of OpenStack to our cloud service gives us many business opportunities to meet various customer needs. How has NTT Group participated in or contributed to the OpenStack community? 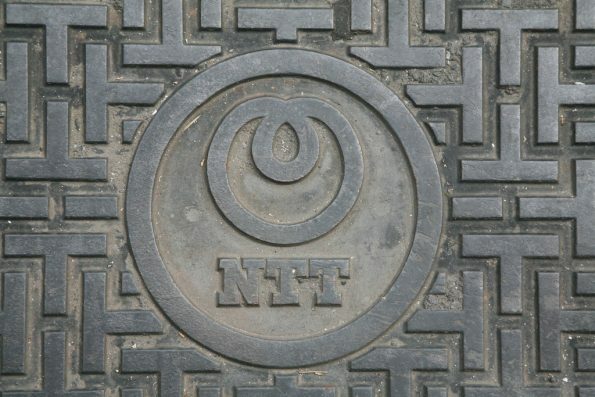 The design of case web service infrastructure at NTT Resonant was shared during a lightning talk at the OpenStack ops meet-up in Palo Alto in August 2015. We will present the story of case web service infrastructure at NTT Resonant and also the backend storage of email system at NTT DOCOMO use case built by the NTT DATA System Integration team at the OpenStack Summit Tokyo in a breakout session. We developed Virtual Machine High Availability (VMHA) components for OpenStack KVM deployment of Nova and make it open source for community. The project is named Masakari which is published under Apache license at github here. It was also presented at the ops mid-meetup in Palo Alto. Kota Tsuyuzaki is a core team member of the Swift project. He has participated all four mid-cycle meetups of the Swift project in the last year, and he is leading the Swift development community with other core team members. Mitsuhiro Shigematsu is a team member of Cross project Liaisons. He is in charge of Ironic documentation and inter-project liaisons between Neutron and Ironic. We have participated in all of the OpenStack Summits. Akihiko Murakami attended the first Summit in Austin in July 2010. Koji Iida attended the second Summit for Bexar in San Antonio in October 2010. We have also participated in all OpenStack ops mid-cycle meetups, except for the first ops mid-cycle meetup. Shintaro Mizuno attended the second ops mid-cycle meet-up in San Antonio in August 2014. What is the scale of your OpenStack deployments? Our web service infrastructure has 400 hypervisors and 4,800 physical cores. It accommodates more than 1,700 virtual servers in production. Our backend storage email system has a few hundred nodes to provide the effective capacity of 6.4 Petabytes (PB) and has been in production since January 2015. NTT SMARTCONNECT built a service platform for a customer, multiscreen broadcasting conference, which is a general incorporated association, by using OpenStack. The customer provides a content distribution application providing the contents to smartphones and tablets in connection with a TV program, enabling real time communication to TV programs by using websocket. We employed Piston and PLUMgrid to build 5 Piston nodes, 2 PLUMgrid GW servers and one extra server to set up the system, which accommodates 40 virtual servers, 3,000 Input/Output Operations Per Second (IOPS) and nine gigabits per second (Gbps) streaming network capacity. OpenStack enabled us to build the system in a short timeframe and with limited costs. It’s in field trial and working in stable even with burst accesses synchronized by TV broadcast. NTT Software Innovation Center is using OpenStack to build private cloud for research and development of internal use. Read more about the Tokyo Superuser Awards finalists here and cast your vote. Voting is limited to one ballot per person, and closes on Monday, October 12th at 11:59 p.m. Pacific Time Zone.